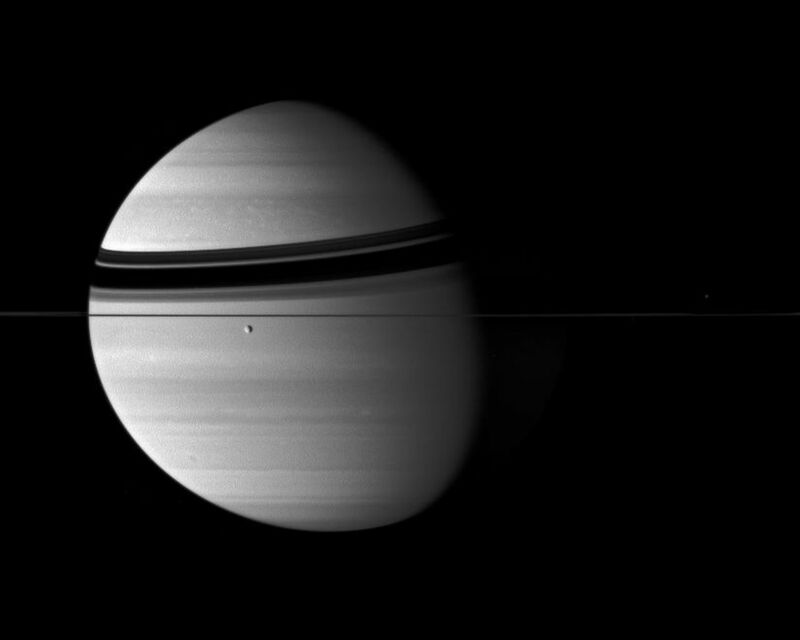 Rhea transits the banded clouds of the Ringed Planet. The edge-on rings cast curved shadows onto Saturn's northern hemisphere. 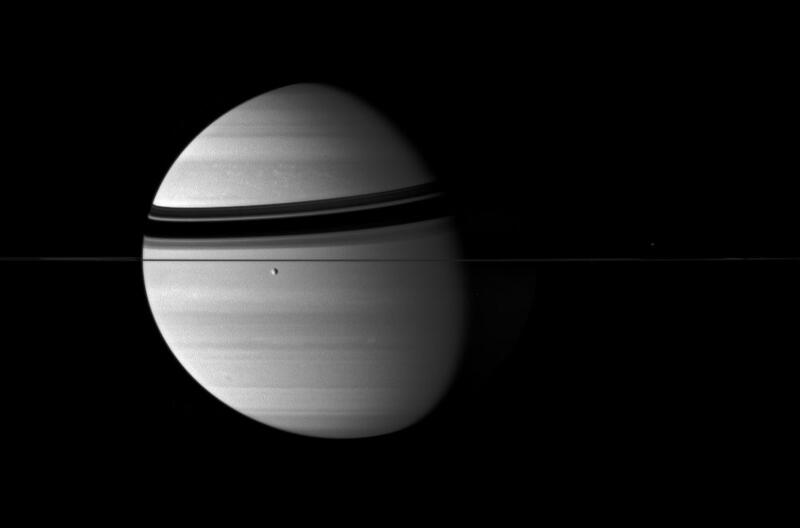 More subtle than the ring shadows, the zonal jet streams of Saturn stripe its globe. Rhea is 1,528 kilometers (949 miles) across. Mimas (397 kilometers, or 247 miles across) sits on the far side of the ringplane, near right. The image was taken in visible blue light with the Cassini spacecraft wide-angle camera on Aug. 13, 2007. 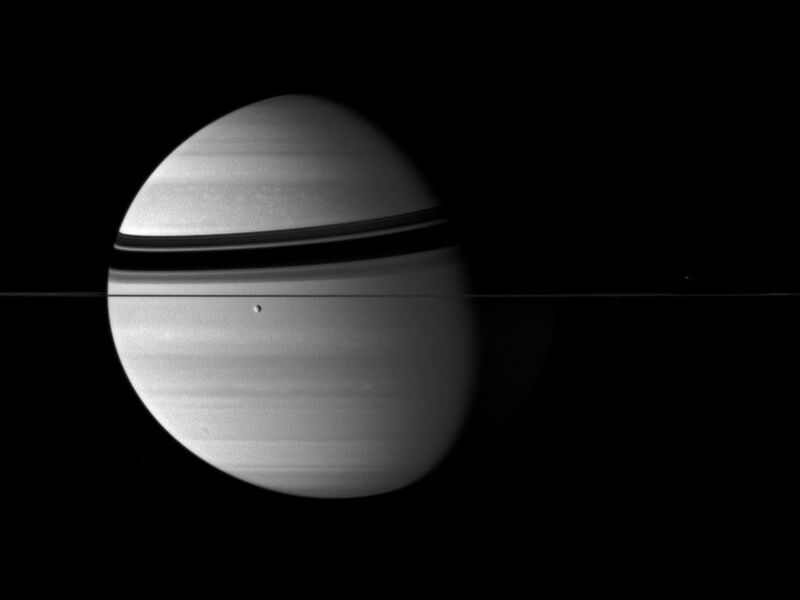 The view was acquired at a distance of approximately 4.1 million kilometers (2.5 million miles) from Saturn. Image scale is 240 kilometers (149 miles) per pixel.